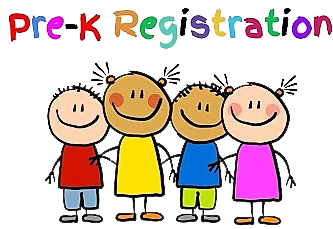 It’s time to register your child for a spot in next year’s Prekindergarten classroom. MMCSD’s Pre-K program is a full-day program for all eligible students that meet the age requirement of being four years old by December 1, 2019. The school day is from 8:00 a.m. until 3:00 p.m. during the 2019-2020 school year. Registration packets are available in the visitor entrance or you can call (585) 658-5037 and the District will mail the registration packet to you. The registration packet can also be downloaded from the District website at mtmorriscsd.org. Students must be four years old by December 1, 2019 to be eligible for a Prekindergarten placement in the 2019-20 school year. All completed registration packets must be turned in to Mrs. Howe in the front office prior to April 9, 2019 at 3:00 p.m.
Be sure to complete a registration packet to be considered for the random lottery selection. Because this is a random selection, all completed registration packets will be entered into the drawing. The random lottery selection will take place on April 9, 2019 at 4:00 p.m. in the High School Library.